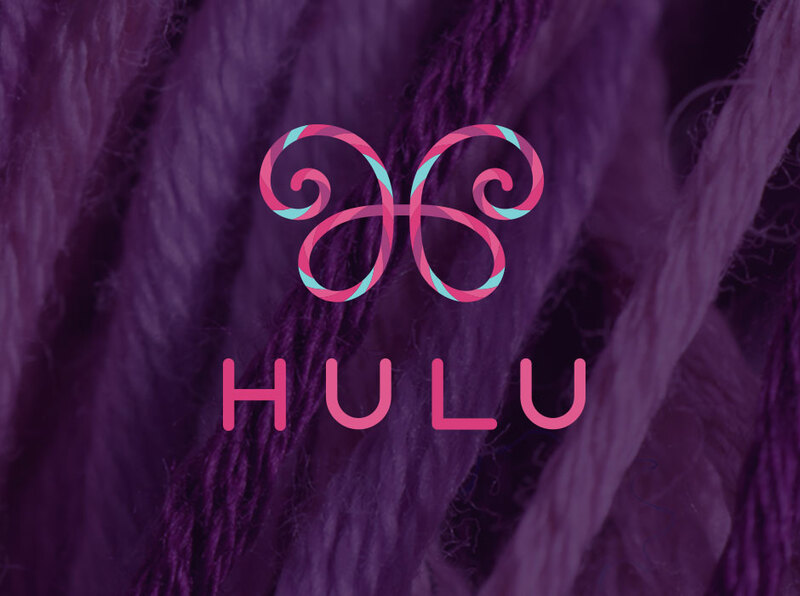 Situated in the beautiful Devon countryside town of Modbury and not to be confused with the American on-demand media network of the same name, Hulu is an independent craft shop and online retailer specialising in all things sewing and knitting. 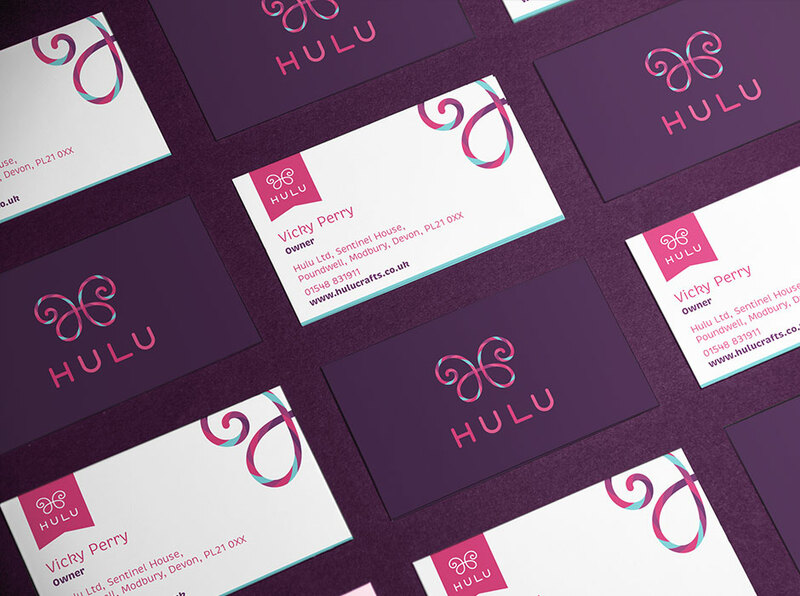 With a customer base consisting mainly of ladies aged 40-70, Hulu’s logo needed to be very clear and easy to read – something the current word-mark was struggling to achieve. Founder, Vicky, was keen to remove all traces of illegibility to ensure maximum recognition and impact. 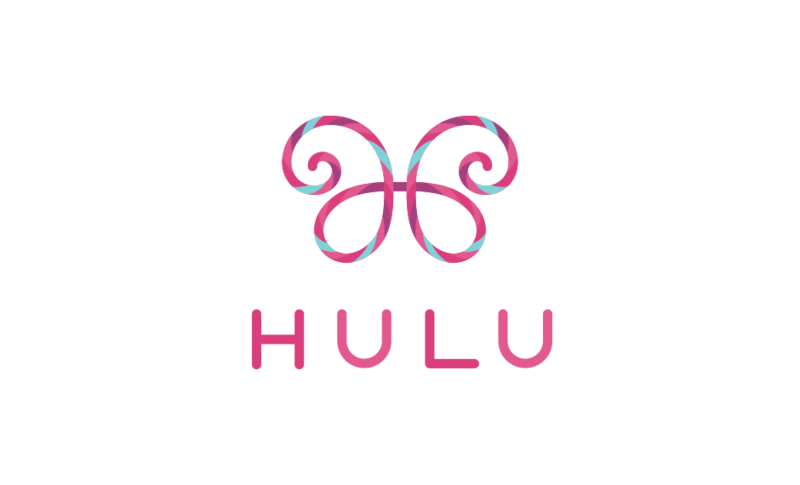 The name ‘Hulu’ comes from a Hawaiian word for wool, meaning the idea of a monoline word-mark was very appropriate. Following my research and ideas generation, I felt there were a couple of routes available. We could continue developing the existing logo, either flowing from a single strand as before or simply creating a unique but more legible signature somehow. But rather than making the whole name out of a single strand and continuing to risk the readability of the ‘h’ (which was being mistaken for an ‘L’ and read ‘Lulu’), I suggested using that style to create a symbol or mark which could be accompanied by a much cleaner and less ambiguous type style. 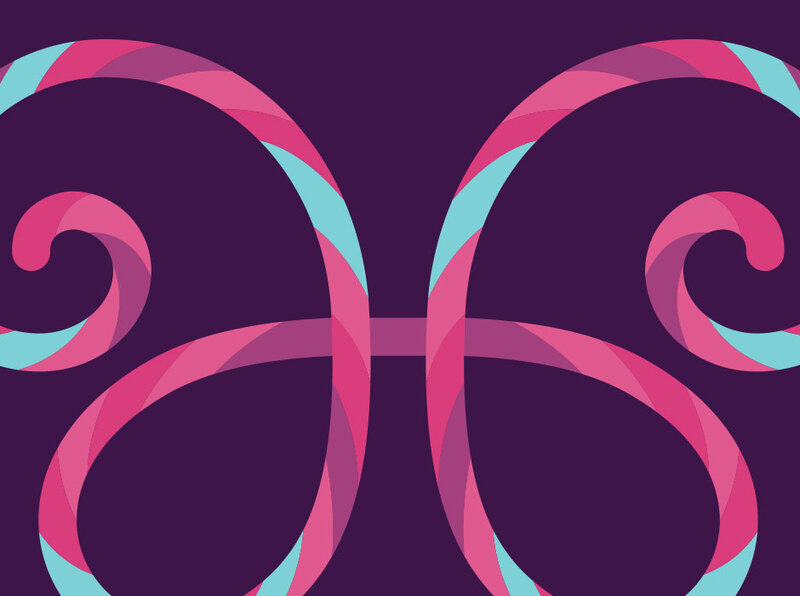 The mark I developed took a symmetrical upper-case ‘H’ with strokes that flourished into flowing terminals, resembling the look of a butterfly. I felt that this gave an appropriate association – a butterfly being a fine example of nature’s craft and beauty. 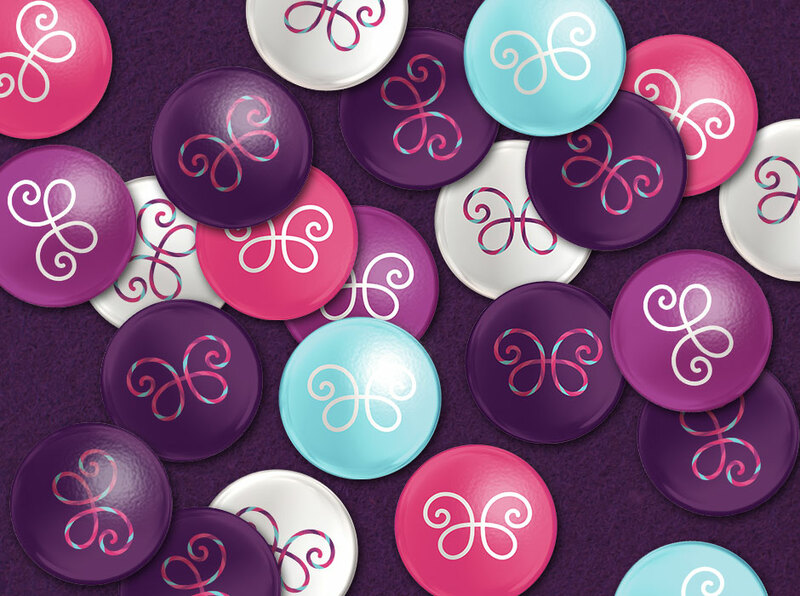 The logo was coloured using pinks, purples and duck-egg blue to represented the effect of a ball of hand dyed yarn with each strand varying in colour from the last. 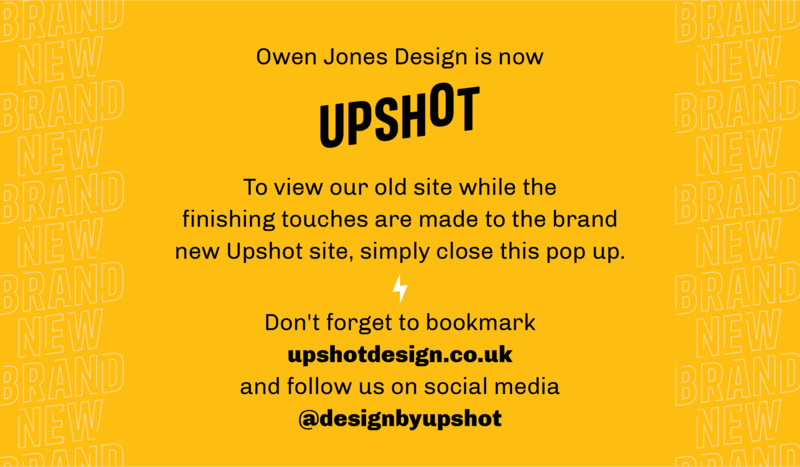 "Owen was great to work with because he completely understood my needs. He worked quickly, within the budget and I would certainly recommend him to anyone!"